The Kaleidoscope of Music evening on Thursday 14 March, in celebration of the schools 125th birthday, was an outstanding event that featured remarkable performances from some exceptional musicians including past pupils and a few of our very own music teachers. Guests enjoyed delicious refreshments before the show and then proceeded to be entertained by the Music Department. The evening started with a notable performance from the Alumnae Choir followed by duets, trios and a very humorous and enjoyable rendition of ‘Chu-Chi Face’ from Chitty Chitty Bang Bang sung by Ms Maileen Jamey and Mr Goosen, accompanied by Ms Atkinson on the piano. 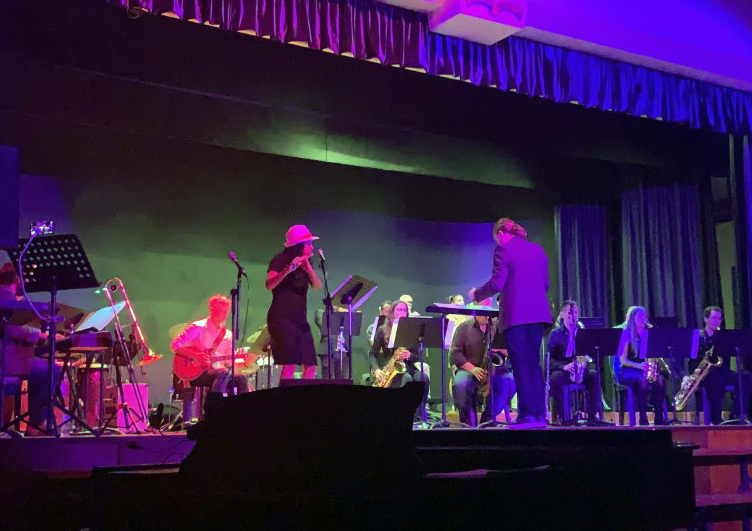 The evening ended with a vivacious performance by the 125 Celebration Big Band, which included an appearance from past pupil Aimee George, and was led by Mr Buitendag. A current Rustenburg student commented: “I think it was very interesting for all of us students to see our teachers perform. It was really a different experience and I really enjoyed it”. Overall, it was it was a night filled with fantastic music, vivid colours and scintillating theatre performances which definitely lived up to its name of being a Kaleidoscope of Music.